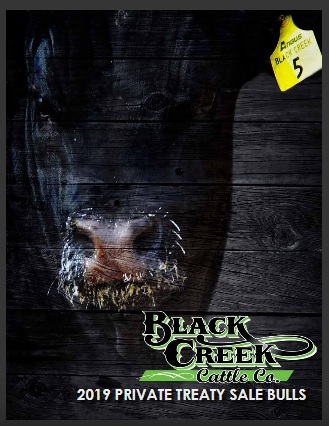 blackcreekangus.com ~ Black Creek Cattle Co. It is a pleasure to welcome you to our website and year 7 for Black Creek. We are able to share a few photos of our farm. Click on photo to enlarge and reduce the slight distortion within the slider image. Enjoy. NEW FOR 2019: Black Creek has just completed construction of our very own Bull Development Pen. We will not be consigning to test centers and our prospective yearling herd sires will be for sale on farm by private treaty. We have a very promising group of prospects off sires including: MAR Innovation 215, KBJ Body Builder 248B, Peak Dot Bold 469B, FRL Rigid 14Z, Atlasta Right Time 166B, Lazy E Fortitude 876C, and our oun Black Creek Charlo 533C. Time well spent ………. I’ve always felt that the most important key in selecting your bull battery is to spend a day visiting and looking at the herd from which you plan to buy your bulls. If you like the cows and the management of them, that’s where you need to be buying your bull from. It’s pretty simple, bulls leave daughters like their mothers and grandmothers! You are always welcome here at Black Creek to look over our herd. Thank you for taking the time to visit us at blackcreekangus.com and for showing an interest in our purebred Black Angus program. For more information be sure to visit our About Us page. We are located in south west Manitoba approximately 20 minutes south of Brandon, exactly 4 miles south of the Wawanesa Hwy #10 & #2 Junction and then 1 mile west. See our Map for more details. Stop in for a visit, call, or send us an email from the Contact Us page. We look forward to meeting with you and to share in our passion for the cattle industry. Sale Catalogue click image above to view.